The first kit was a present from my sister and it's in Swedish. 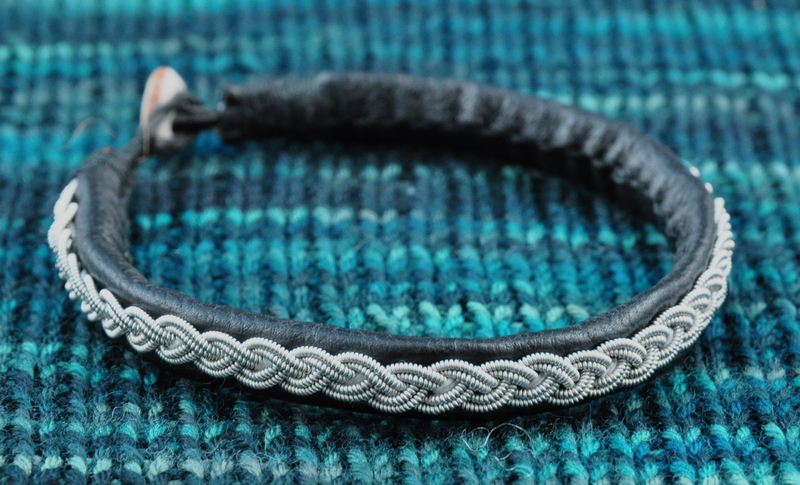 A bracelet made from leather and stainless steel cord. The second kit was in Dutch and I bought is last year at a fair. 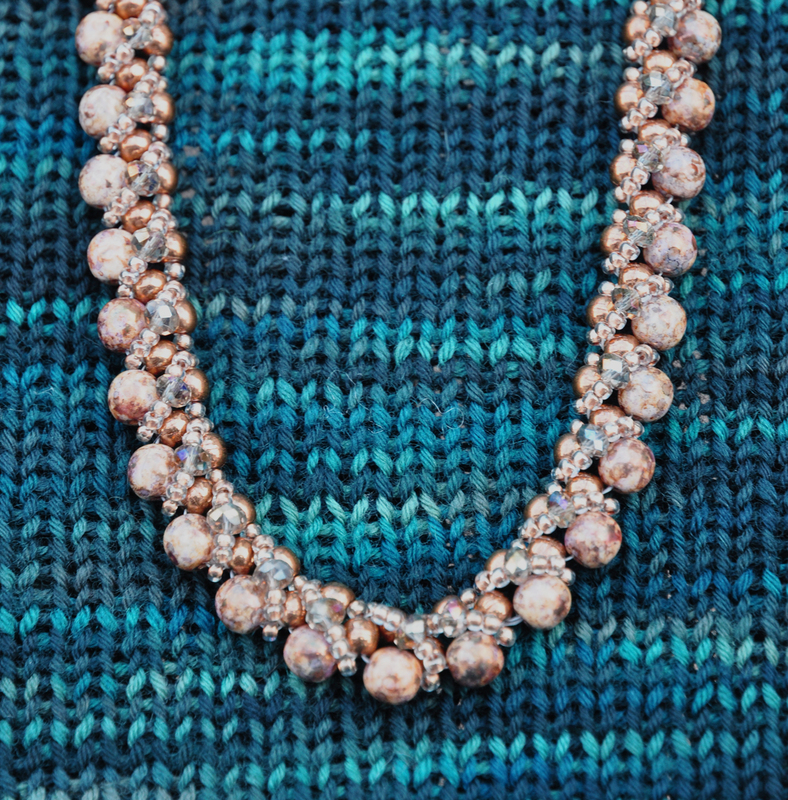 It's a collier made with semi-precious stones, seed beads and crystals. In the end it was 43cm long. Basically, I only had the pictures to go by (and a little bit of babylon translation). Considering this handicap, I'm really happy how those two projects turned out. The knitting I used as the background is my finally finished 'Nuvem' in Wollmeise Lace. I'll see if I can make some nice photos of it the next couple of days. Stay tuned. 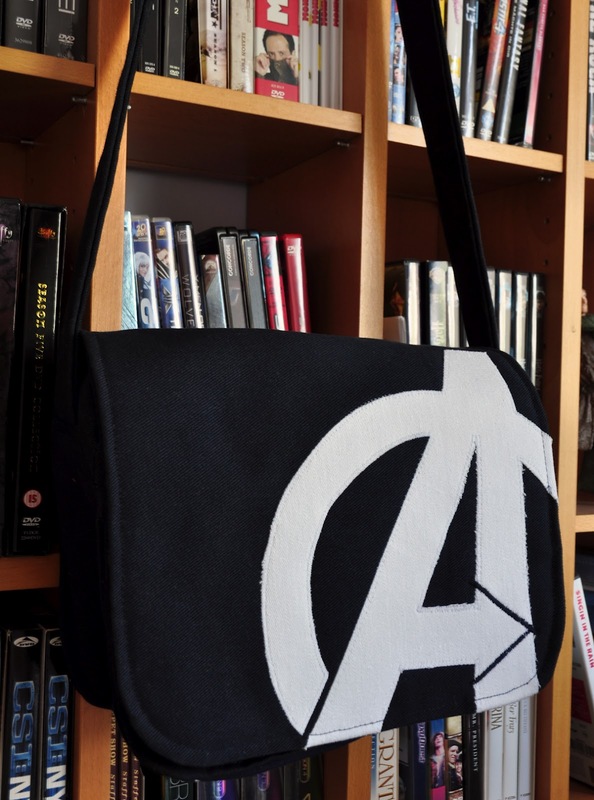 My sewing addiction is still going strong. 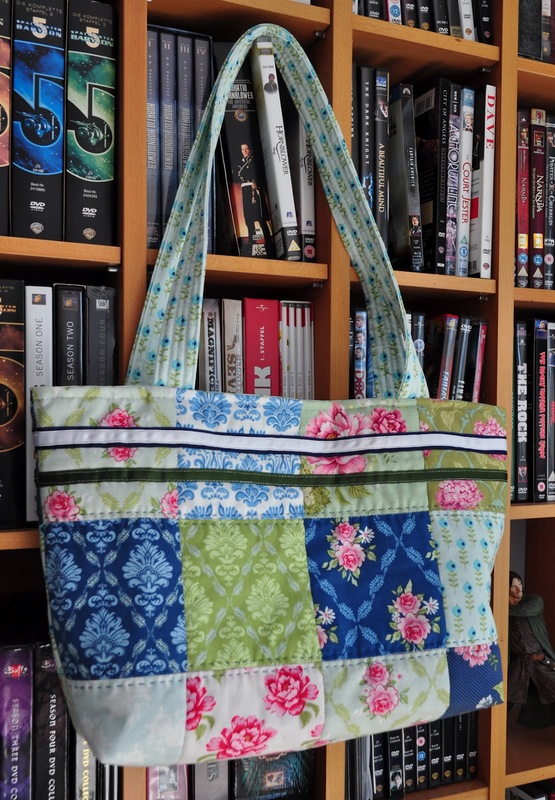 Exhibit 1: A patchwork project bag. I got a pack of 20 different fabric squares (2 each) and pulled out as many of the rose themed ones I could find. 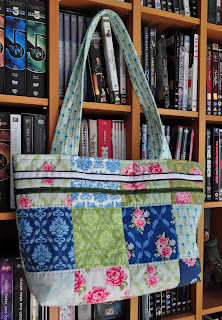 I then had 24 squares I patchworked to make one piece of fabric and the made the bag from it. 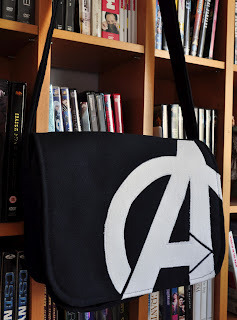 Exhibit 2: The second finished project is a combination of not only my sewing addiction, but includes also the new Avengers movie, which I have seen three times so far. Not hard to figure out that I did like the movie a lot. It did cost me a couple of pricked fingers, two sewing needles and I even broke one of the needles on the machine. I love it! I'm especially pleased on how the application for the logo turned out. Super easy, but very, very effective. My current main project is a little blanket, which is knit in the round and then steeked before adding a border to it. 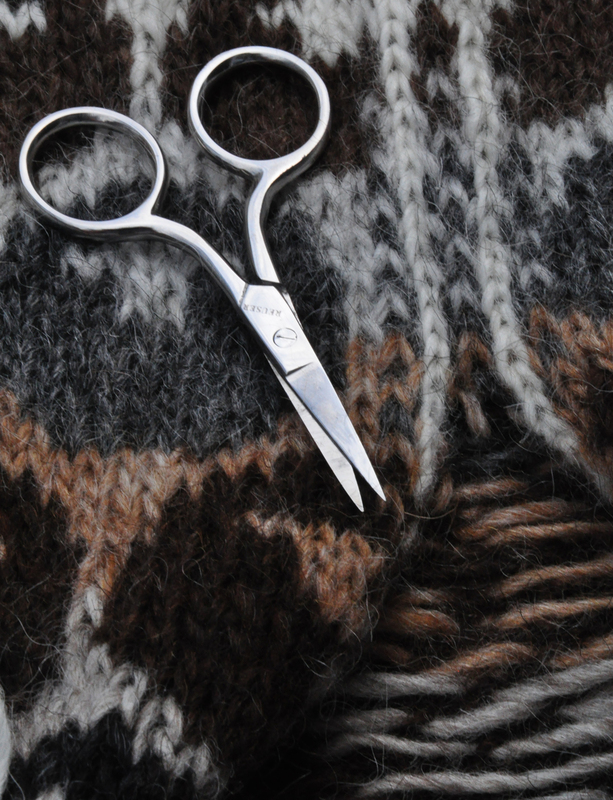 Taking scissors to one's knitting is a nerve wrecking experience, but sometimes it can't be helped. 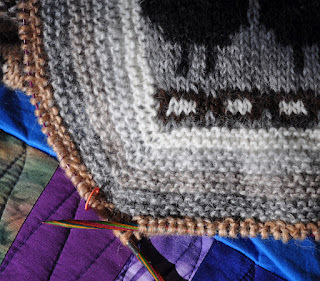 What DID help was that the yarn I'm using is Lett Lopi, a yarn made in Iceland (I may, or may not, have bought copious amounts when I went there on vacation a couple of years back). Lett Lopi is also the yarn that is traditionally used for the lopapeysa, the famous Icelandic sweater. And, more often than not, those sweaters are also steeked. So, if they can do it, so can I. 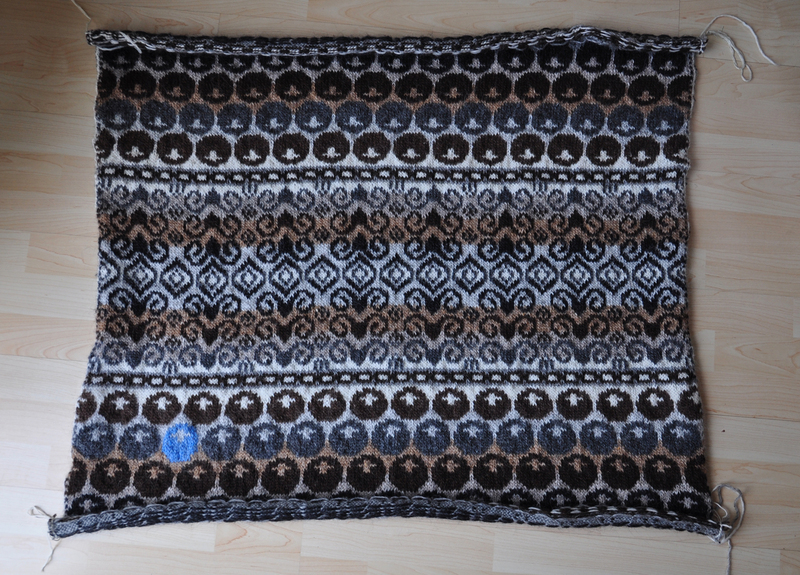 After cutting through the steek it turned out to be 96 x 90 cm, without the border. 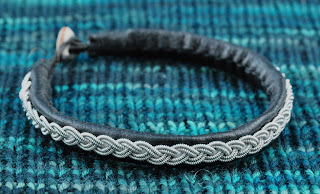 The stray blue sheep was an idea I saw in another project on Ravelry. I did work it in intarsia in the round, which is a very fiddly way of doing things, but it couldn't be helped. 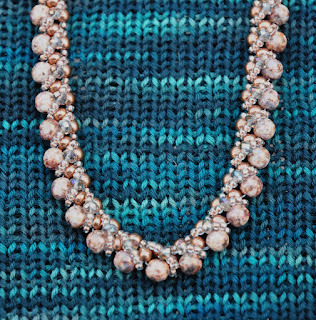 I then picked up a gazillion stitches around the edge (okay, closer to 750) and started knitting the border, using all the colors again in an gradient from light to dark, and eventually back to light. 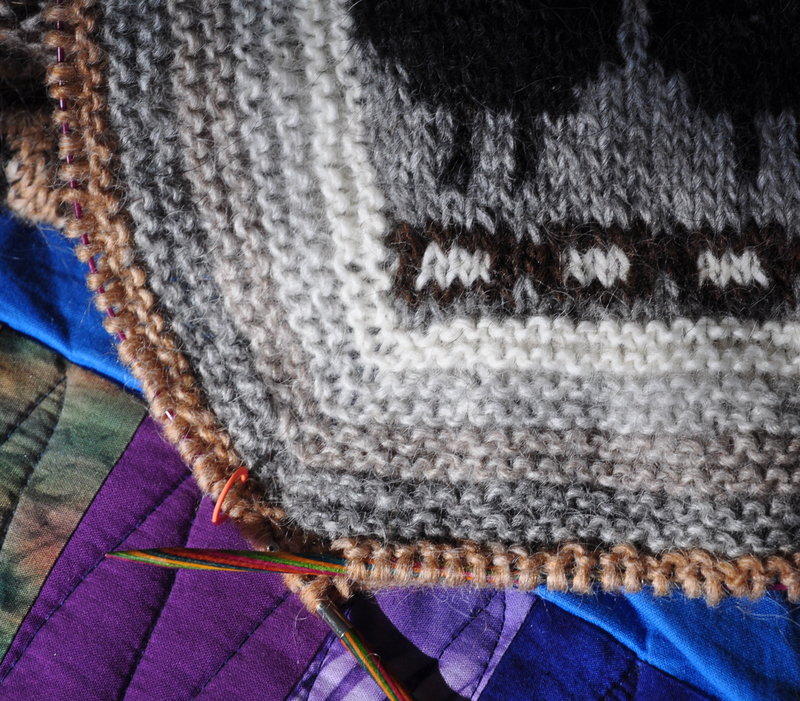 In the end, the border is folded over and sewn to the other side of the steek and all is hidden. The only issue I face now is that I'm going to run out of yarn (this border is eating up yarn, like there's no tomorrow). So, another trip to the yarn store is in order.